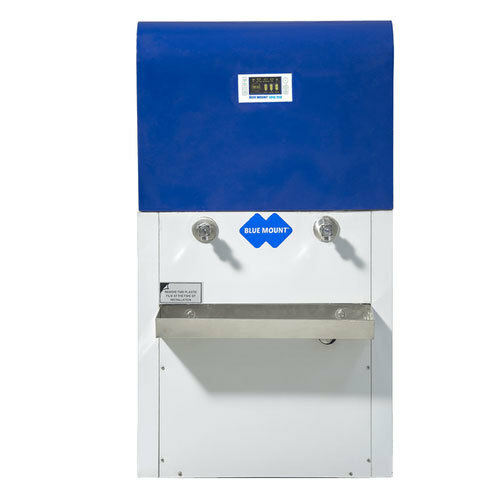 We are offering Blue Mount Super 150 Alkaline RO Water Purifier with Storage to our clients. We are a new-age water purifier brand which originates from India to serve the people of it's country. We have taken a challenge- to provide 100% pure and healthy water in every household. We study and understand the need of pure water for every person, the water present and accessible for consumption and the purification hassles which most purifiers bring with themselves. We have one motive to provide the most pure & healthy water for one and all. We bring a wide range of technologically advanced water purifier which will suit water needs of various Indian household & industries. We also offer Water Vending Machine which is popularly known as Water ATM, Milk Plants, Water Treatment Plants, Water Softeners, Water Conditioners, DM Plant & much more to come.